There is nothing I miss more when doing a strict ketogenic diet than pancakes. Its’ weird because normally I’m not a huge pancake person but I can’t have them and I sit at the diner with my kids, there is something about the way the butter and syrup run down the edges of the pancake. I seriously crave it. I was determined to figure out how to make delicious keto pancakes so that I could stay in ketosis but still satisfy this major new craving I had. I tried a few different recipes and they were either too thin or too eggy. I figured it out! This is the way to my heart on a Saturday morning with a cup of coffee. This recipe is easy, quick, and is so good that even my kiddies love it! Mix all ingredients together while preheating your greased griddle or skillet to high heat. Let sit for 2 minutes to thicken. Make pancakes, flipping when top side is bubbling. Serve with butter & zero carb syrup if desired. Have you ever heard of making keto bread in 90 seconds? I was skimming through Pinterest and I found a beautiful picture with a heading that said 90 Second Keto Bread. I immediately clicked the post to open it and peruse the instructions. Seemed easy enough so I decided to try it. Not only did I attempt to make this recipe but I recorded the whole thing for you guys to watch and decide for yourselves if you want to make the same attempt. So hit or miss? What do you think? Will you be trying it? Do you have a delicious go to recipe for a bread-like item that’s Keto friendly? I would love for you to share it in the comments below! It’s time for a special ketone experience, HOLIDAY VERSION! This special holiday version is perfect for 5 days, drinking one ketone a day, and will kick those chocolate and candy cravings you may have during the sweet month of February! This time last year I had no idea that how I was feeling could easily be altered. How was I feeling? I was feeling tired. All. The. Time. Seriously, I needed constant naps and was always fighting exhaustion. I was feeling heavy. I guess bloated would be a good way to describe it? Just heavy and lousy and not like myself. My clothes weren’t fitting the way I liked, my skin wasn’t doing that great, and overall I just wasn’t happy with how I felt. Then I saw a Facebook post from my sister in law. She introduced me to ketones (a drink that supplies your body with ketones & puts you into ketosis) and a different lifestyle that I just gravitated towards. I did all the research. I watched all the videos. I read all the articles. I learned quickly and dove right in. Now a year later I can say I am SO glad that I did! In addition to losing 40lbs (and KEEPING IT OFF! ), the exhaustion has gone away. I don’t need that afternoon nap or the 5 cups of coffee. Don’t get me wrong I still love my coffee, but it doesn’t drive me anymore. I’ve kicked bad habits, created better cravings, and was able to buy new jeans. 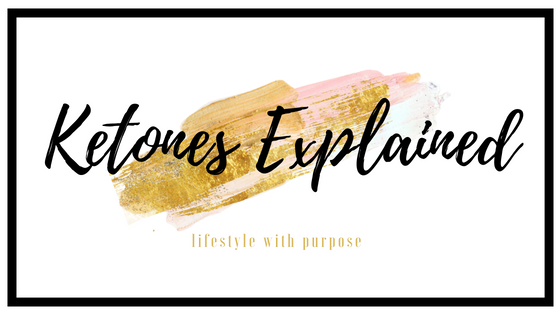 The science behind exogenous ketones makes total sense to me. The science behind a ketogenic way of eating makes total sense to me. When I put them together it was like magic. Over 2018 I did not stay in a strict keto way of eating. I slowly added back in items that I love, like pastas, potatoes, and pizza. Yet, I’ve been able to maintain because of a few things; altered eating habits, use of ketones & keto kreme, and periodic intermittent fasting. So, yes, I want to share all of this with you because I’ve experienced it. I know it works. I know the changes are worth it. 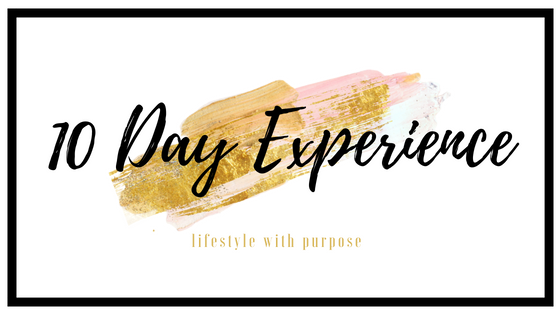 I’ve put together a special experience pack this month for those of you who are looking to try something new that could very well change your year like it did mine in 2018. Can you explain the science in a simple way? Are you on a ketogenic or low carb way of eating? How do you track your MACROS? It’s a common questions. Your MACROS are your proteins, carbs, and fats. To become fat adapted and successfully in ketosis it’s super important that we intake the proper ratios of these elements. If using exogenous ketones, this won’t be as necessary, but either way, tracking your food is needed. So what app should you use? I’ve tried several and the Carb Manager one seems to be the most intuitive and helpful for this way of eating. However, using the Carb Manager App can be confusing if you don’t have your settings correct. When the settings are correct, the app can be a wonderful tool in whatever meal plan you are following, ketogenic, low carb, low calorie, weight watchers, etc. In this video I explain how to set up your app correctly for your personal goals. As of the time of this post, this video is RANKED #1 on youtube when searching “Carb Manager”…. THANK YOU! When I was a kid my big Italian family would gather for every holiday and sit down to a multi course dinner. The memories I have from these holidays has influence how I raise my children, how I view the major holidays in my life, and how I cook. As a child one of my favorite courses was the soup course. I know, weird! But… it was so good! The soup every single time was Escarole Soup. It was only ever around in my life during the holidays but now that I’m grown and can make my own decisions…. I make it all the time. Is it low carb? yes. Ketogenic? yes. Is that why I make it? NO! Whether you’re eating a standard American diet or not, this is a great one. And take it from me, kids love it too. When it comes to measurements for this soup, it varies. The video shows you step by step instructions, including how much of each item I used for the size pot that I have. Simmer chicken stock. If you like things a little less salty, add water to dilute the stock a little bit. Coarsely chop escarole, rinse, and put in stock, stirring. Whisk eggs, add grated cheese, add salt and pepper. Drop egg mixture into simmering pot and stir. Serve with grated cheese on top if desired. Hope you all love the little piece of my childhood. Salute!